On 13th of June 2017 BROZ symbolically opened a new campsite in Veľký Lél – Zlatná na Ostrove. Camping is situated nearby Veľkolésky ostrov Island. This area is part of the Protected landscape area and Special Protected Area Dunajské luhy. In the last 10 years conservationists from BROZ contributed to considerable improvement of this protected land. By restoration of Veľkolélske rameno (river branch) – its reconnection with the main Danube river – the water flows again and brings new life in the area. Regional Association for Nature Conservation and Sustainable Development (BROZ) has been administrating the area for a long time. It connects nature protection with traditional grazing of cattle and traditional management of the land. Flocks of cows and horses graze on flowering meadows. Each year summer riding camps for children and traditional race – Konský deň (Horse day) – are organized. On the Island people may visit educational trail and read informational panels. You can walk there or also go by boat or by bike. It is possible to do fishigh, birdwatching, go boating or swimming in Danube. Dominants of the island are majestic 300 – 400 year old oaks. It´s the first campsite at the Danube river in Slovakia and we hope it will be used enough“, said Tomáš Kušík, chairman of BROZ. 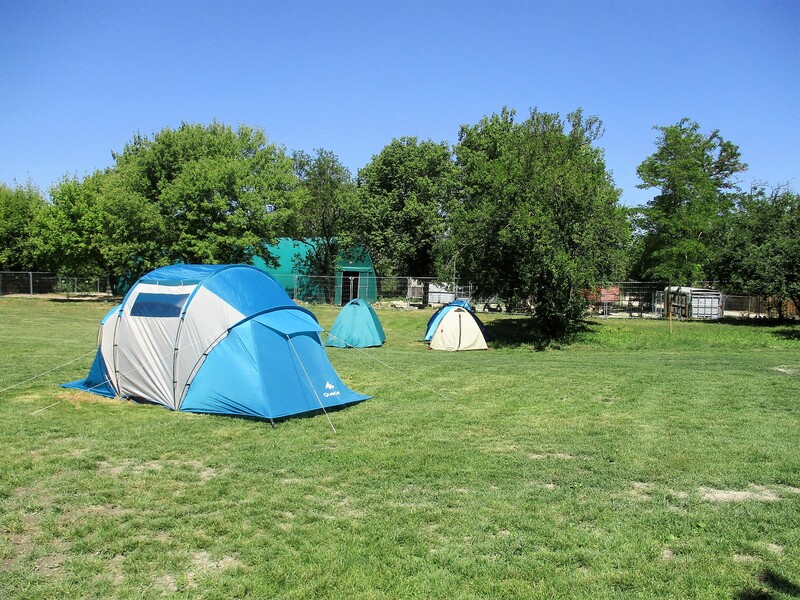 It is already possible to accomodate in the campsite and the public is highly interested in this type of accomodation in the pure Danube nature. WC, showers and kitchen have been built with the financial help of Danube fund within the project „Closer to Danube – camping Veľký Lél“. The event of opening the campsite is one of the events related to Solstice on Danube which is brought to public by Danube fund. All the events are related with Danube river and promote spending free time at the river.